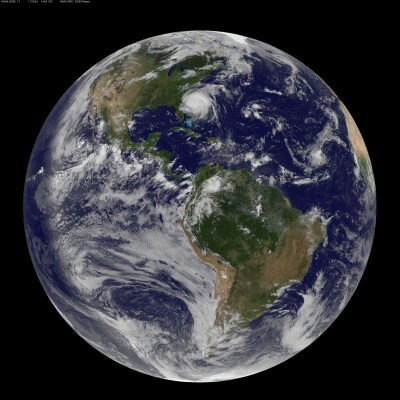 EARTHSERVER built advanced data cubes and custom web portals to make it possible for researchers to extract and visualize earth sciences data as 3-D cubes, 2-D maps or 1-D diagrams. The British Geological Survey, for example, used EARTHSERVER technology to drill down through different layers of the earth in 3-D. “For the user, data cubes hide the unnecessary complexity of the data,’ says Professor Baumann as reported by Phys.org. “As a user, I don’t want to see a million files: I want to see a few data cubes.” The massive data sets are hundreds of terabytes per query and will be moving soon into the petabyte realm in up to 5D data cubes across the fields of Cryospheric Science, Airborne Science, Atmospheric Science, Geology, Oceanography, and Planetary Science. 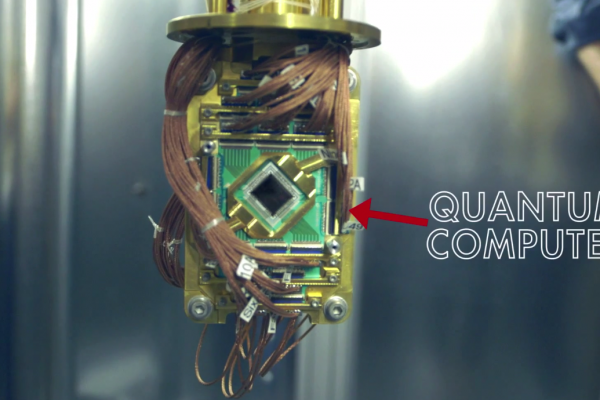 In addition to Earth, the system is also being used to evaluate Mars geology. The data is a result of ground penetrating radar. “On Mars, we can go down a few kilometers and we want to find out whether there is water,” state Peter Baumann (Project Coordinator). The related database query evaluates 100 Terabytes of data. The Cryospheric Data Service is developed by EOX and will, in the final stage, support the snow and land ice community by providing an online data archive and processing facility for relevant products. Currently, the service holds a selection of Snow Cover Products created by CryoLand, a Collaborative EU-FP7 Project (2011-2015). The Climate Data Service is developed by MEEO with the aim of supporting the Climate and Atmosphere communities in loading, visualizing and analyising 3D and 4D datasets at European and global scales. The Geology Data Service is developed by the British Geological Survey (BGS) to support the solid earth science community. The service currently delivers a range of coverage data sets and illustrates the use of WCPS queries and a range of visualisations. The Ocean Data Service is developed by Plymouth Marine Laboratory and is intended to provide a exemplar portal, demonstrate large scale EO data services for the Ocean Science community and introduce new capabilities from the use of WCPS queries. 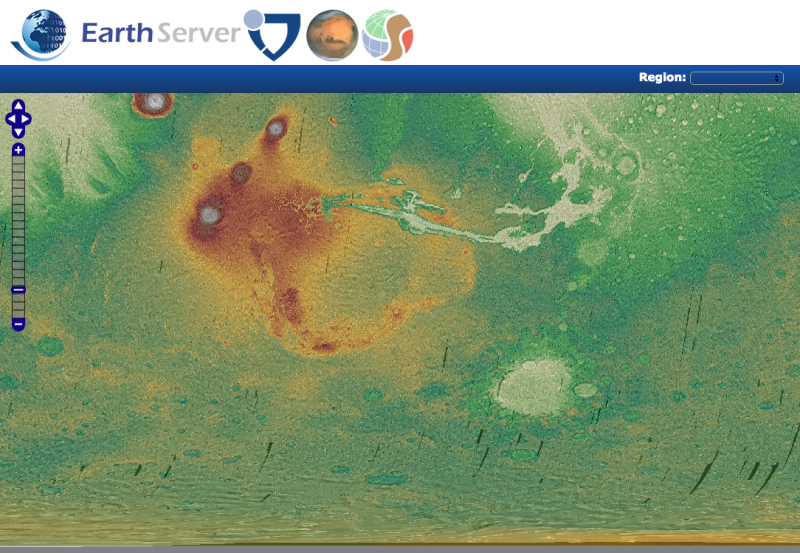 The Planetary Data Service offers orbital spacecraft data over Mars. 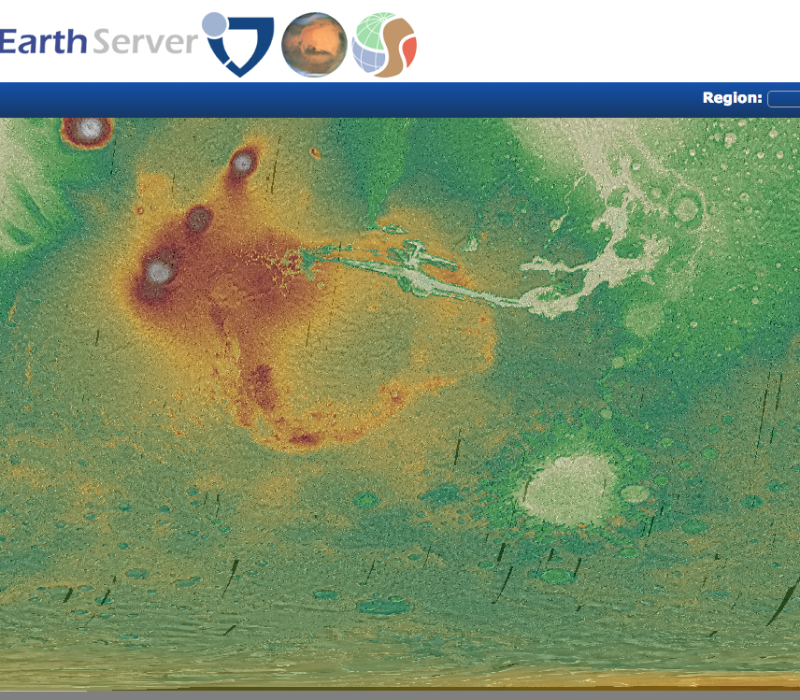 PlanetServer aims at providing access and analysis capabilities to Mars Remote Sensing data. Ingested datasets include panchromatic, hyperspectral and topography data, at multiple spatial scales.